Hammey Moto who regularly posts on Instagram might just be the luckiest motorcyclist alive. After a high speed wooble on his Zawasaki Z1000, he lays the bike downs and slides under the tailer of an 18 wheeler and comes out the other side. Someone is looking out for this guy. 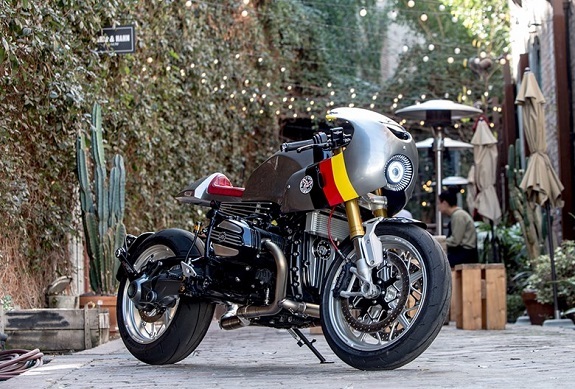 When the BMW R nineT officially debuted in 2014, we knew we were going to see some amazing custom builds on this platform. JSK Moto who has been one of our favorite custom motorcycle builders to follow has build this amazing BMW R nineT Cafe Racer.